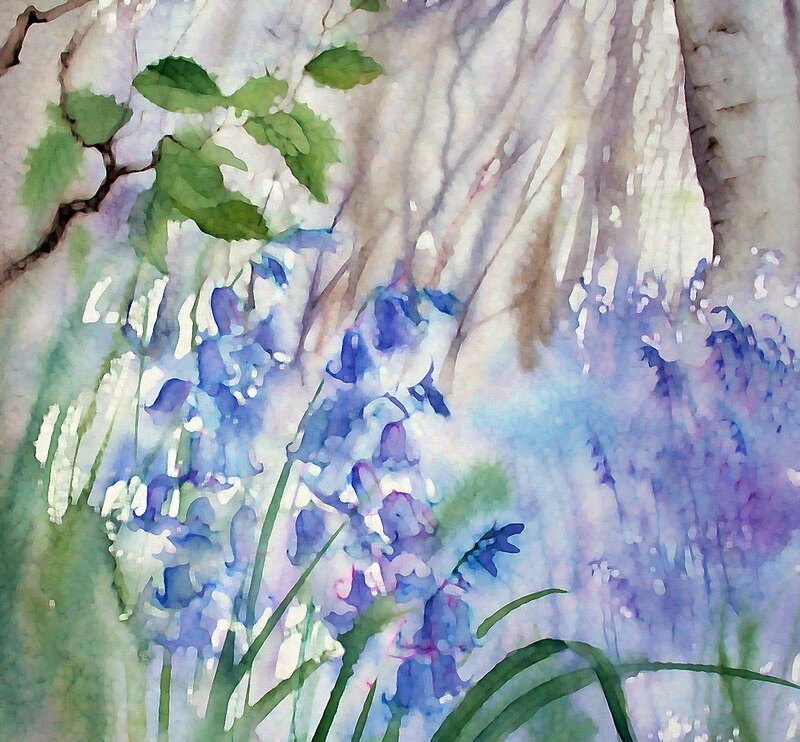 I’ve been experimenting with wet in wet, watercolour pencils and the bluebells today. I owe my inspiration to one Paul Lovering, an excellent artist/designer. (Check out his work at Flickr Lovering Arts) While cropping my picture in photoshop, I added one or two effects and quite like how it came out! What do you think? 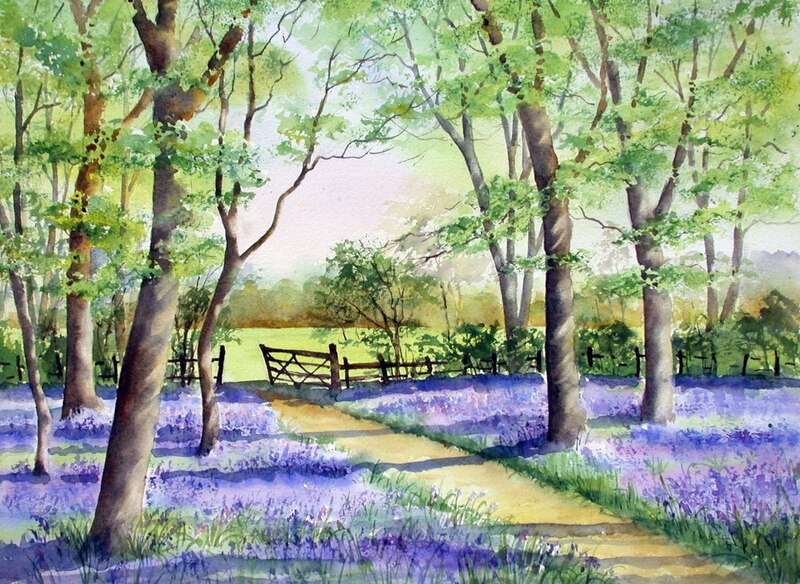 They will be late this year, the bluebells, so we will have to look forward to them as we paint them at the studio workshop on Saturday. We’ll have a go at something like this sketch which is a scene at lovely Coton Manor gardens in Northamptonshire. The bluebell wood there is stunning at it’s beautiful best in May. Clouds of sweet smelling pale blue heavenliness…I do not exaggerate! Had a lovely time at Newark Art Club workshop. Sixteen painters. 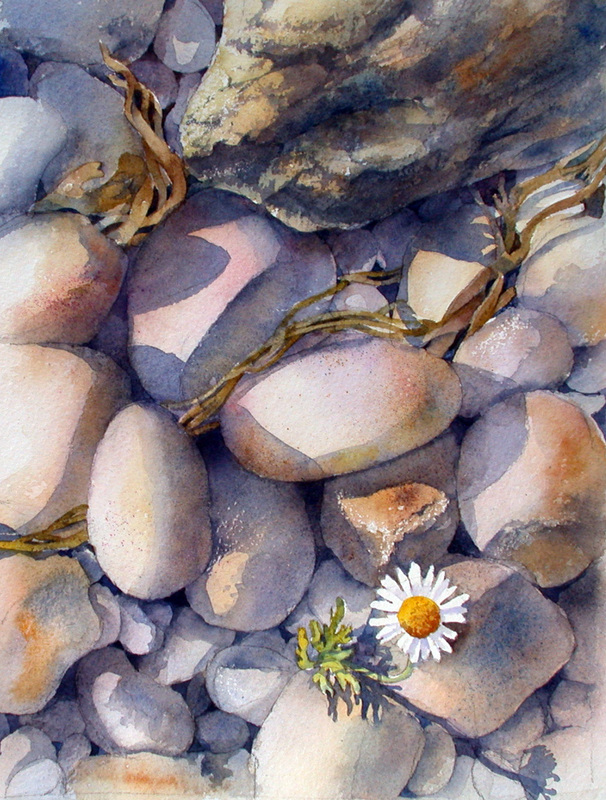 The pebbles subject made us think a lot about tones, textures and translucent cast shadows. There were some beautiful paintings for our show at the end of the day. Speak to me people! You can share your thoughts by clicking on “comments” at the end of each blog post. Don’t have to identify yourself. Let’s get a dialogue going! We’re having a go at Rocks and Pebbles at Newark art Club tomorrow. It’s a great subject for practising tones and textures without the pressure of complicated flower forms to master. 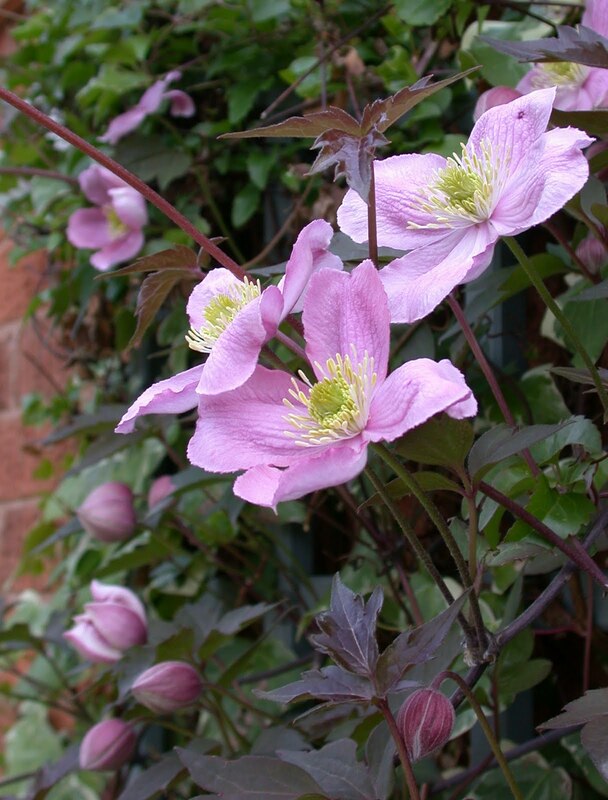 And the colours are quite limited and easy to use, but interesting to mix, making different shades of stone colours with siennas, pinks and violets. As with a flower painting, you start with a loose wash, setting the scene and then gradually defining more and more with negative painting and stronger tones to depict the crevices. I did this iris study a while back from the photo I took in the garden last year. I like the way the tones and shadows are depicted on the flowers but when we do a similar study at the workshop, we will improve the composition and have the two flowers slightly overlapping so that the eye is not pulled back and forth to each separate flower. I saw how misled we can be by using a reference photo too literally. 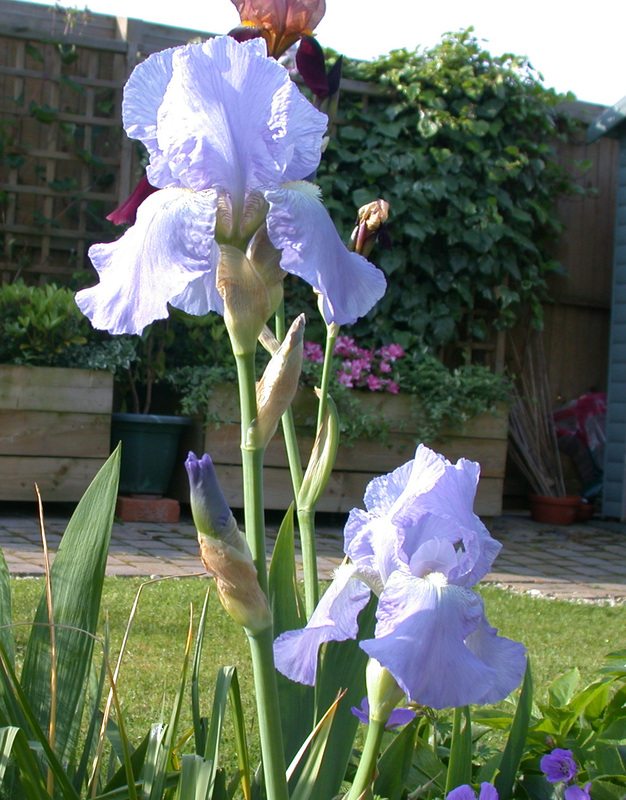 This is an unusual format that suits the upright iris form. 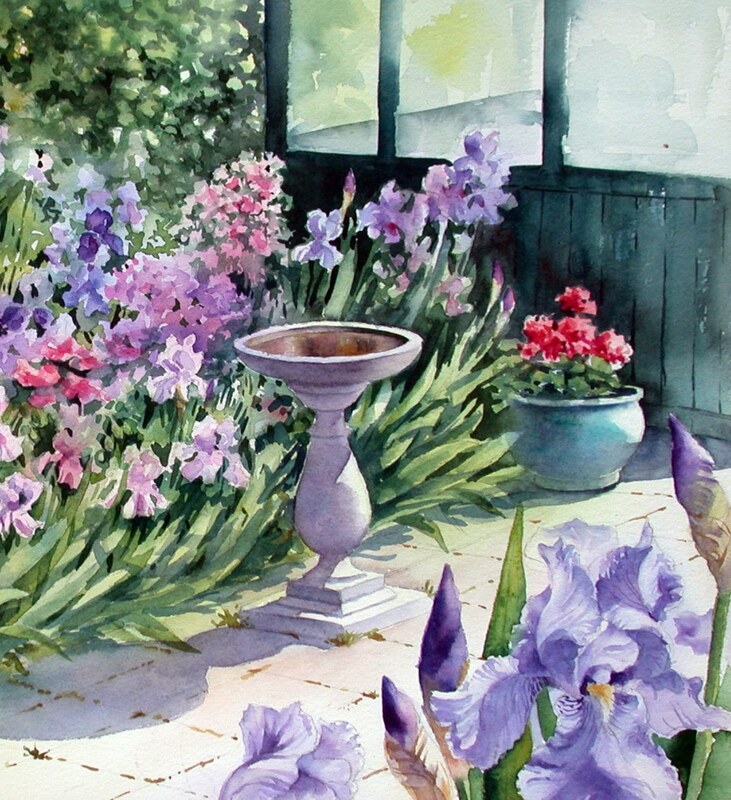 I’ve been thinking about irises as we have an Irises workshop in May. 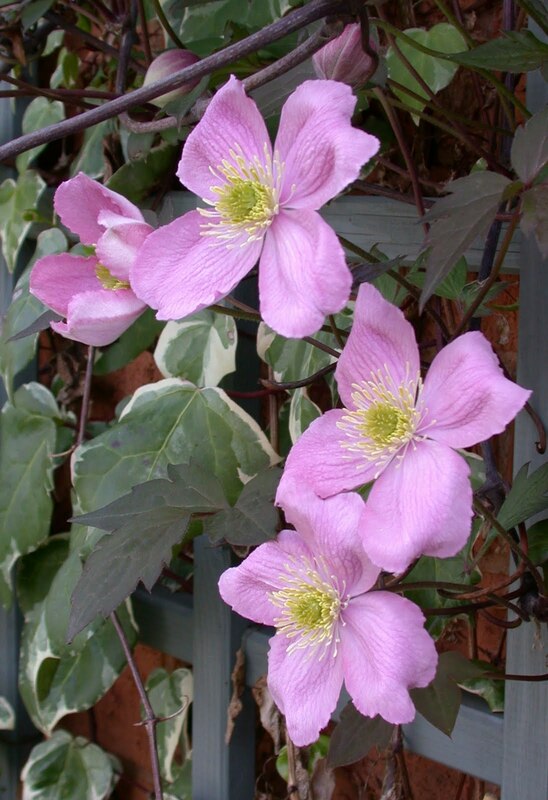 They are the most gorgeous showy flowers but are only with us for a matter of weeks. I saw this scene last year in my friend Margaret’s garden and loved the shadow cast by the birdath in this sunny corner. 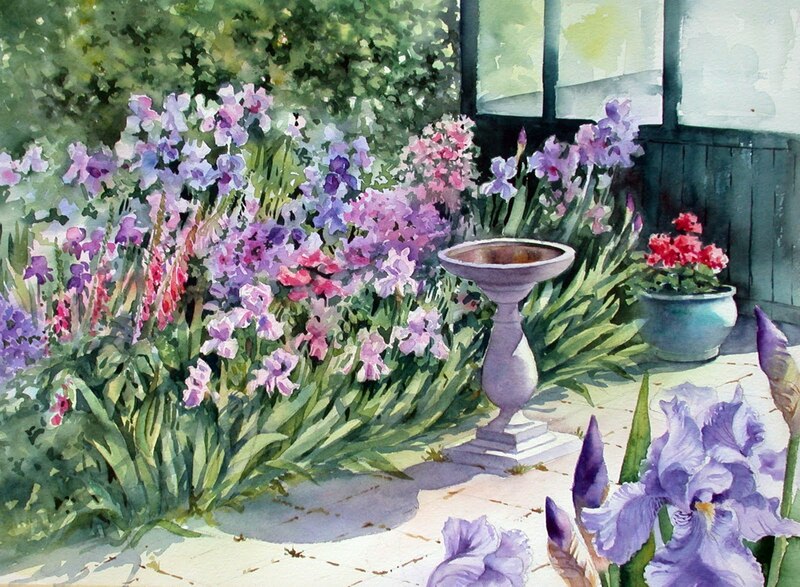 Painting it has made me look at irises more carefully. I remade my small iris bed last year and I have high hopes of a great display in a month or so. Author AnnPosted on 6. April 2010 19. June 2016 Leave a comment on Wonderful Irises. Here are the photos I used as reference for the painting. I decided to place the flowers in a backward “c” shape to form a pleasing composition. These flowers were growing just outside the studio door, so I was able to check them out during the painting. Click once on the photos to enlarge them.